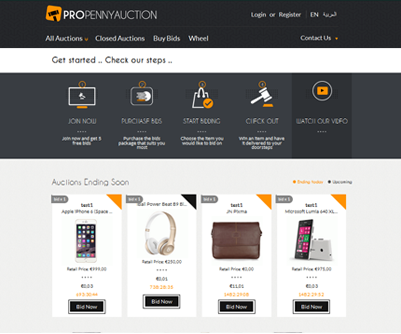 Meta Description PropennyAuction Provides a fully functional auction website and mobile app. The online demo is the best way to try Our Corporate package. 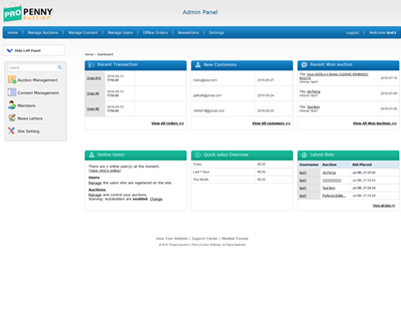 Demo is just for showing standard feature which auction software must have. Our dedicated team is well capable in customizing software , adding more and more advance features as per your needs.